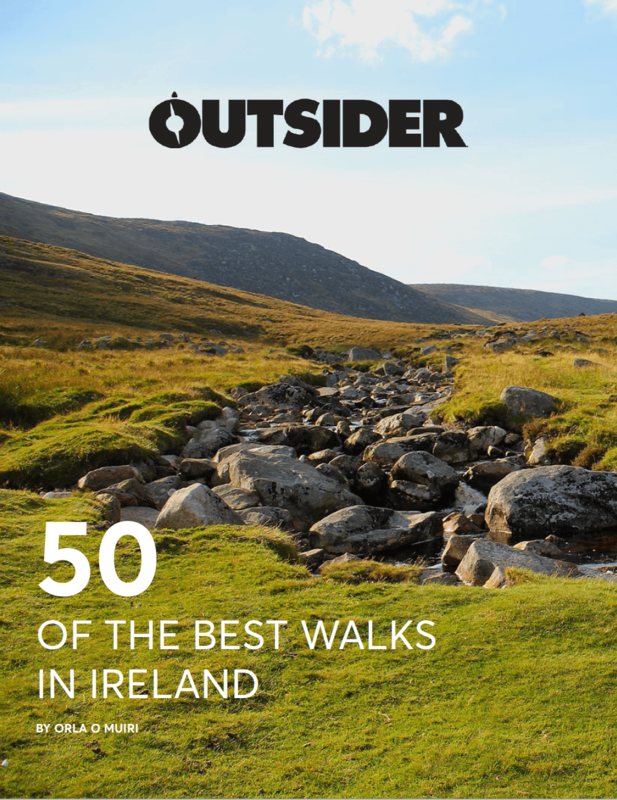 The Marathon des Sable, Ultra Trail du Mont Blanc, Barkley Marathons, and Ireland’s own Wicklow Round make our list of the world’s toughest Ultramarathon tests. One marathon not enough for you? How about five consecutively? In the dark? Without a map? If that sounds like an exciting way to spend a weekend we’ve picked out our Ultramarathon bucket list for you to ‘enjoy’. The Ultra-Trail du Mont Blanc (UTMB) is one of the most challenging races that Europe has to offer. Following the Tour du Mont Blanc hiking route (usually takes 7-9 days) the very best complete the 166km route in around 20 hours. The very first UTMB run took place in 2001, it now attracts around 2000 entrants annually and has become an incredibly slick operation over the years. The route takes in Courmayer, Champex, and Les Chapeux, with the race starting and finishing in Chamonix. Hitting altitudes of 3,300m, it attracts crowds galore to watch those who sign up suffer. Since its inception in 1989, just 15 people have finished the 160km route inside the 60-hour time limit of this self-styled ‘anti-race’. The story goes that race founder Gary Cantrell devised the event after hearing of James Earl Ray, the man who assassinated Martin Luther King Jr., attempted escape from the local Brushy Mountain State prison in 1977. Ray covered just eight miles during his 55 hours of freedom, ‘I could cover at least 100’ was Cantrell’s response. Just 40 runners compete in the Barkley Marathons each year with only 45% of races producing a finisher. The race can begin anytime between midnight and midday on race day and is signalled by Cantrell lighting one of his favourite Camel cigarettes. The route consists of a 32km loop that must be run five times within the 60-hour limit. The course is changeable but generally includes 16,500m of climbs. No assistance is provided to runners once a loop is started. There is a ‘fun run’ option in which three loops must be run in 40 hours – in 2014 no-one was even able to complete this feat. The legendary Marathon des Sables is one of the toughest ultramarathons ever conceived. The six-day race covers 251km of searing Saharan sands with the longest day covering a gruelling 91km of desert. As one of the world’s most famous foot races the Marathon des Sables has attracted dedicated runners as well as its fair share of celebrities: former Barcelona manager Luis Enrique completed the race in 2008, while British explorer Ranulph Fiennes became the oldest finisher in 2015 aged 71. Temperatures regularly top 50°C with the sand hot enough to destroy all but the hardiest of running shoes. The entry fee is a rather steep €4,500 (including flights) but what is money compared to the satisfaction of completing such an awe inspiring feat. Plenty of races claim to be the world’s toughest but the Badwater Ultramarathon certainly holds a strong case. The 217km course starts below sea level and finishes at 2548m at the trailhead of Mount Whitney in California. The race takes place annually in mid-July, a date purposely chosen to punish entrants with vicious temperatures of up to 54°C. The rules were altered in 2014 pushing the start time to the afternoon saving runners from some of the worst of the conditions but this is still an event that takes absolutely zero prisoners. About 30% of entrants fail to reach the finish line, but those that do survive and complete the race inside the 48-hour limit are rewarded with a commemorative belt and buckle. The current record for completion stands at 22 hours 51 minutes and was set by Brazilian Valmir Nunes in 2007. The Jungle Ultra is 230km race that pits competitors against some of the most hostile terrain on the planet. Taking place in the Amazon basin of South East Peru, the race is made up of five stages. Mud, altitude sickness, countless river crossings, and suffocating humidity are just a few of the challenges facing entrants who take to the start line each June. The course is stunning taking in the beauty of the Manu National Park, the Madre de Dios river and the Andes mountain range. Just reaching the race is an adventure in itself with the start line only accessible by boat. The Jungle Ultra is a daunting challenge that will push you to your limits but take you to some of the world’s beautiful and untouched locations on the planet. Described as ‘almost perfect in its cruelty’ by race director Steve Gilmour, the Spine is not an ultra marathon that offsets your agony with the promise of exotic locales. Northern England has it beautiful views but not in January when the Spine race takes place. Following the 429km route of the famous Penine Way competitors have seven days to complete a route that usually takes three weeks – that’s an average of 62km of a day. Taking place in the depths of Winter snow and icy conditions are frequent and hyperthermia a common reason for pullouts. Those taking part must carry all their kit with them for the duration of the race, although locals living along the route have also been known to take pity on weary travellers, providing them with sustenance and shelter. However, as a single stage race, any time you indulge yourself with a couple of hours of sleep is factored into your total time. Not a race for sun seekers or the faint hearted. The Wicklow Round is not a formal ultra marathon rather a gauntlet thrown to anyone who fancies a serious solo challenge. Overseen by the Irish Mountain Association, competitors may attempt the Round any time of the year. The 114km route takes in 26 peaks and 6000m of climbs with Lugnaquilla the highest point. Eoin Keith holds the current record stands at 17 hours 53 mins with only 11 others recorded as having finished the route in under 24 hours. The Wicklow Round should be top of any Irish ultra marathon runner and marks a rite of passage for the those with a taste for masochism closer to home. Marathon des Sables is a bit of a joke amongst Ultra Runners. Most would regard it as an expensive fun run. It’s really hard to win, but (comparatively) quite easy to finish.